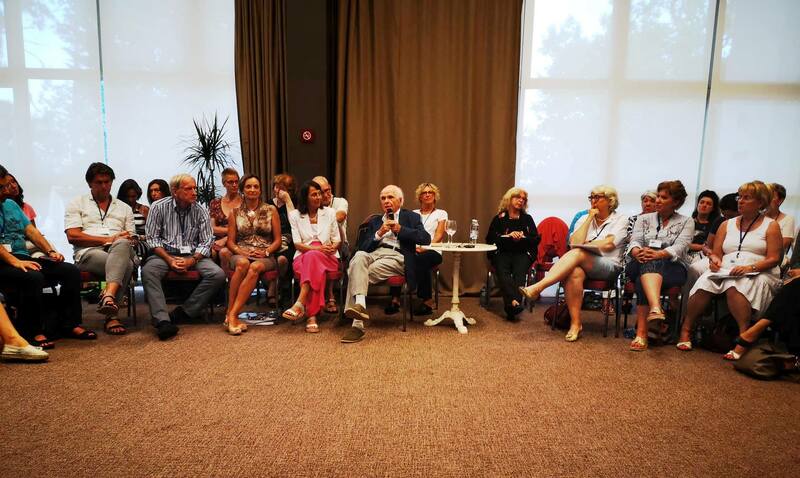 At the ISCA Gathering 2018 in Croatia, we were delighted and honored to host one of the leading systemic thinkers in the world as the guest speaker, one of the most prominent developers of the new paradigm, the new conception of cosmos, life and consciousness emerging at the forefront of the contemporary sciences – Professor Ervin Laszlo. President of Club of Budapest, Hungarian philosopher of science, systems and integral theorist, the founder of systems philosophy & developer of the “Akasha paradigm” – the new conception of cosmos, life and consciousness emerging at the forefront of the contemporary sciences. Mária Sági is the author and co-author of eleven books and some hundred and fifty articles and research papers on topics as varied as social and personality psychology, the psychology of music and art and information medicine, some published in English, French, German, Italian and Japanese. Since the late 1980s Sági’s interests embraced natural healing, using the principles of information medicine. She has developed the method of New Homeopathy pioneered by the Viennese scientist Erich Körbler as an encompassing method for diagnosing and treating human health problems whether in the presence of the patient and at a distance (“Holistic Information-Medicine”). With the discovery of information as the basic ‘software’ of living systems came the realization that malfunction in the living system can be treated by correcting the information that causes the malfunction. Her latest book is “Healing with Information: The New Homeopathy”.